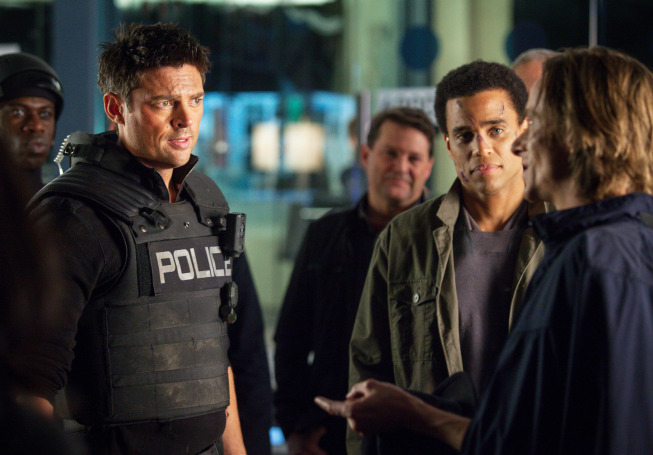 Give Me My Remote > Almost Human > ALMOST HUMAN: ‘The Bends’ Photo Preview — Rudy Goes Undercover! ALMOST HUMAN sends Rudy undercover in next Monday’s episode, and, well, at least he gets a spiffy new hat. Exactly where do you come up with this? Just saying you are really imaginative. You need to ask your readers for new topics. I and my pals were reading through the best suggestions located on your site and so suddenly developed a terrible suspicion I never thanked the blog owner for those strategies. Most of the ladies were definitely as a result warmed to study all of them and have in effect certainly been using them. Appreciate your genuinely so accommodating and for having some fabulous useful guides most people are really wanting to be aware of. My very own sincere regret for not saying thanks to you earlier. I’m not sure where youâ€™re obtaining your information, but great topic. I needs to spend some time learning a lot a lot more or understanding a lot more. Thanks for amazing details I was searching for this information for my mission. Hello! I would wish to supply a large thumbs up for your outstanding information you could have here about this post. Iâ€™ll be coming back to your blog website for further soon. This internet website is my intake , real excellent layout and perfect topic material .